If waterside escapes and country retreats are calling, then a stay at an airy inn or B&B might be just the thing this summer. Across the country, stunning properties (including several of historical note) have opened or reopened their doors and are taking reservations for the season. Be one of the first to experience new amenities and surroundings, from cottage chic on Cape Cod to Tuscan romance in California wine country. Here are a few new inns that we love right now, and we hope you will, too. Salt House Inn brings minimalist New England chic to Provincetown, Massachusetts. Originally a set of cottages for salt-mine workers, the 19th-century property has been transformed into "a modern interpretation of traditional colonial aesthetics, mixed with the feeling of a breezy Cape Cod beach cottage," according to designer and co-owner Kevin O'Shea. Each of the 15 distinctly decorated guest rooms showcases a collection of vintage "curiosities" hanging on crisp white walls and indulgences such as luxe bedding and spa-like showers. In line with Provincetown's laid-back seaside vibe, hotel "rules," such as a standard check-in time, have been abandoned, and guests can make individual plans directly with O'Shea and his partner David Bowd. Bonus: If you are heading to the Cape and Islands, the Regatta Inn opens June 1 on Nantucket. 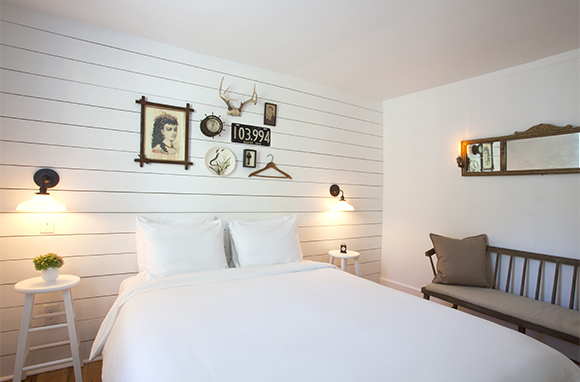 On the inn's website, be sure to check out the guest-room design boards that inspired each room. 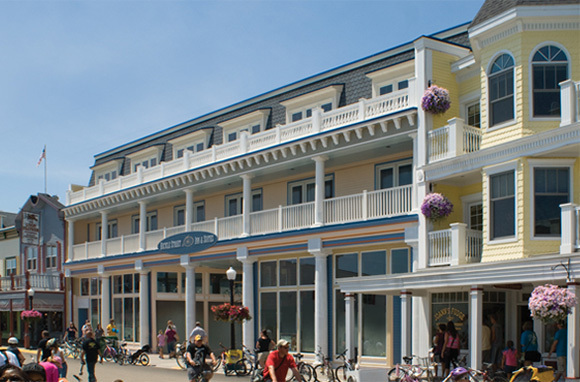 Old-timey Mackinac Island has a brand-new addition: Bicycle Street Inn & Suites. The boutique-style inn blends seamlessly into Main Street but stands out from other luxury hotels on the island. According to partner and manager Melanie Libby, it offers "what today's traveler is looking for but melds the history and charm that is Mackinac Island." Most of the 36 guest rooms are spacious suites that include upscale amenities and balconies with views of downtown or the Straits of Mackinac. Guests can take advantage of special packages that include round-trip ferry rides, discounts to island attractions, and bike rentals. While Gettysburg commemorates the 150th anniversary of its epic battle this summer, The Swope Manor marks a new beginning as a B&B. The property was bought and reconstructed in 1836 by George Swope, who, according to innkeeper Van Richards, was the wealthiest man in Gettysburg at that time. During the war, Swope and his family lived in the elegant brick house, located just one block from the town square, and watched the battle unfold through its windows. Today, the 8,700-square-foot home has 13 guest rooms, all with private baths. Civil War-inspired names such as Lincoln's Suite and Colonel Chamberlain Suite give a nod to the inn's past. Opening Rate: From $135 per night, starting in June. May rates are 20 percent off on weekdays and 15 percent off on weekends. With a location overlooking miles of vineyards, Sundance Bed & Breakfast offers food and wine lovers an ideal, relaxing escape. The Tuscan-style villa was built with passive solar construction to help keep it cool in summer (and warm in winter), and the three suites are uniquely decorated and come with views of the surrounding countryside. Before venturing out to the many local wineries, guests can enjoy gourmet breakfast either al fresco or in the formal dining room. Bonus: Love California wine country? The Chanric Inn in Napa Valley's Calistoga has reopened with new owners and a new look. Set on Chick's Cove along the Kennebunk River, The Lodge on the Cove, part of the Kennebunkport Resort Collection, offers a slice of coastal Maine. Guests at the renovated 30-room motor lodge can experience a mix of classic outdoor fun and indoor comfort, from swimming and kayaking to relaxing in ocean-inspired rooms and dining at the on-site tiki bar. Perfect for families, the lodge is also close to downtown Kennebunkport's boutiques and restaurants, as well as activities like whale watching. Opening Rate: From $189 per night. The Plunge Package, offered from June 15 through July 15, starts at $359 for two nights and includes a handcrafted breakfast bakery bag, lunch, use of kayaks, and a signature goody bag. Downtown Bradenton's once-German-inspired inn has gone British and reopened as The Londoner Bed & Breakfast. Each of the six rooms is named after a borough or district of London, and breakfasts include scones, lemon curd, clotted cream, and, of course, tea. The English hospitality doesn't stop there. According to an inn representative, "The kitchen is open overnight so guests can make tea and raid the biscuit tin so they feel like they are home." 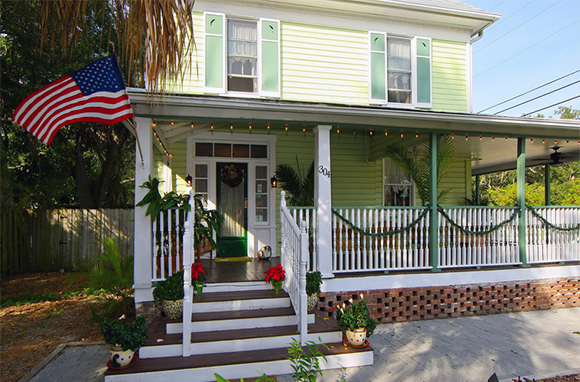 The only B&B in town, The Londoner is within walking distance of the town's marina and new Riverwalk. It's also a short drive to Anna Maria Island and Longboat Key. The "center of village life, gossip, and activity since 1884," Deerfield Inn in northwestern Massachusetts has a new story of its own to tell. Ravaged by Hurricane Irene nearly two years ago, the historic country inn has undergone extensive renovations—including major updates to Champneyâs Restaurant & Tavern, refurbished carriage-house bathrooms with heated floors, and 100 new panes of glass throughout—all with preservation in mind. 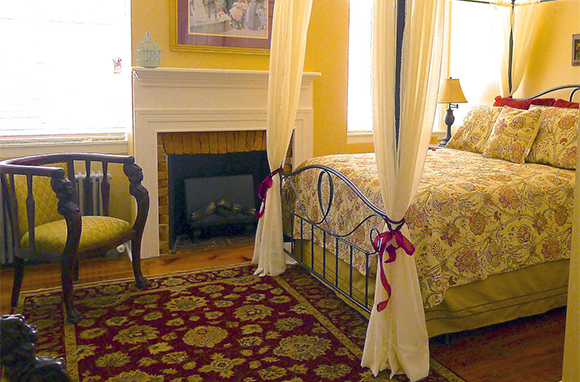 Just in time for this summer, the fixes are complete and guests can fully enjoy the inn and local surroundings Yankee-style, with fairs, festivals, and nearby sites like Historic Deerfield. At Bespoke Inn, visitors to downtown Scottsdale's Arts District will find a truly tailor-made experience. Passionate about "food, bicycles, travel, and pretty much anything handmade," owners Kate and Rob have literally created their own amenities, from produce grown in a rooftop garden to handcrafted furniture and even custom-built bikes. Four upscale guest rooms are individually decorated and come with private patios, fine linens, and soaking tubs. Outdoors, a 43-foot infinity-edge lap pool overlooks a shady courtyard and is perfect for summer relaxation. Additionally, there's an on-site bicycle shop, and a cafe featuring locally sourced ingredients will open in June.